This is the Smeg range cooker from the Concert range, style and efficiency combine to create a great cooker with a fanstastic functionality for all your cooking needs. Packed full with a total of 11 fucntions in two separate cavities this Smeg cooker can offer diversity to you and your cooking options. The unique circulaire function provides many benefits including no preheat if cook time is more than 20 minutes, no flavour transfer when cooking different foods at the same time, less energy, and shorter cook times. There are many other fucntions within this cooker including fan with lower element, upper and lower element, lower heat, grill, fan with grill and half grill. 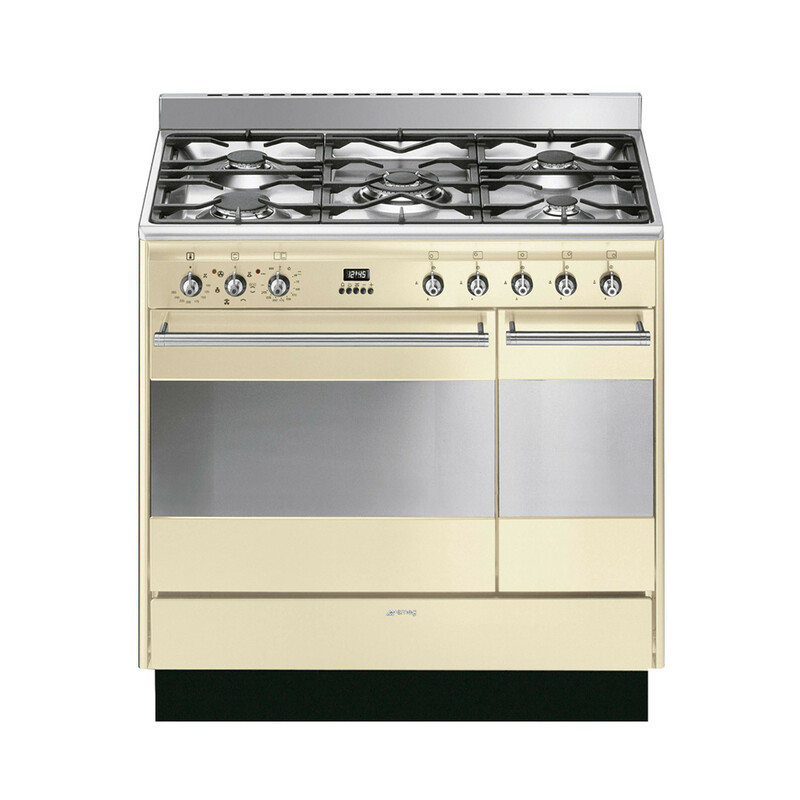 The ovens are not the only impressive aspect to the cooker, the 5 burner gas hob that features a rapid burner and an ultra rapid burner also stands out with 5 different powers giving you plenty of possibilties through your gas hob.